Vinyl is back baby! For people of my generation — millenial/Gen Z — records are something of a bygone era where you couldn't just skip to the songs you liked and actually had to listen to the whole album. Sigh! As the proud owner of a record player and someone who listens to a lot of "oldies," I am all for the resurgence of this vintage medium. Some ask, "What's the difference from listening to the same songs on Spotify?" There's a lot of differences, actually. There are different speeds that different records run on that affect how the music sounds. With old records there's the slight crackle of the needle running along the vinyl that adds a realness to the sound. In the year that I have had a record player, I've learned a few tips and tricks for finding the best records at the best prices. • If you like newer music and want it on vinyl, be prepared to pay a pretty penny. New records for artists like Taylor Swift and Ed Sheeran cost around $20 apiece. These records are commonly found at places like Urban Outfitters and Barnes & Noble. 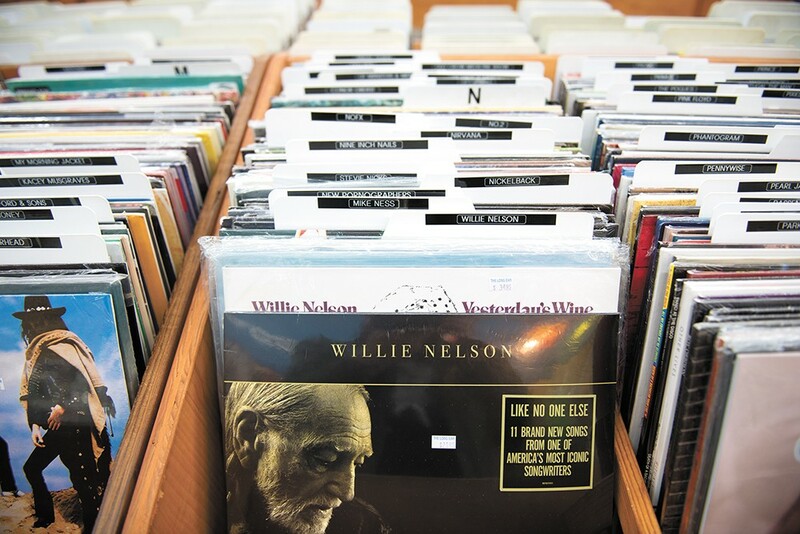 • Finding a good old record is like a treasure hunt. You search through a lot of useless stuff before you find one you really want. This means hunting through bins of Barry Manilow albums before you find that Fleetwood Mac album you were looking for. • When you're on the hunt for some sweet vinyl, always slide the record out of the sleeve to check for scratches. They may look like they won't make much of a difference, but when you're listening to a record and it skips over the entire chorus of a song, you'll notice the difference. It may be $1, but the sucky sound isn't worth it. • Spokane has quite a few record shops that stock good quality vinyl for decent prices. Check out 4000 Holes, Groove Merchants, Resurrection Records and Go! Records. You'll be sure to find some burning incense and classic rock playing in the background. • Thrift shops can sometimes have good records at dirt cheap prices, if you're willing to get your hands dirty and search for a bit. One of my favorite places to look is Boulevard Mercantile (OK, upscale thrift) where I have found ABBA records for $5 ("Dancing Queen" is my anthem) and a Benny Goodman Sing, Sing, Sing album for $3. Other good places to look include Goodwill and Global Neighborhood. The original print version of this article was headlined "Records for Dummies"